The Dow gained 0.28% to 16,865.33, while the NASDAQ composite index rose 0.99% to 4,530.29. 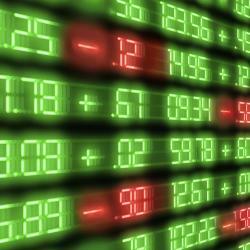 The broader Standard & Poor's 500 index gained 0.49% to 1,971.27. The industry dropped 3.23% by 11:05 am. The worst performer in this industry was Tile Shop Holdings (NASDAQ: TTS), which declined 12.1%. Tile Shop reported Q3 earnings of $0.03 per share on revenue of $62.80 million and lowered its FY14 forecast. Tile Shop announced the retirement of CEO Robert Rucker. This industry fell 1.67% by 11:05 am ET. GameStop (NYSE: GME) shares dropped 5.4% in today's trading. GameStop shares have dropped 24.60% over the past 52 weeks, while the S&P 500 index has surged 10.70% in the same period. This industry tumbled 1.65% by 11:05 am. The worst stock within the industry was United Therapeutics (NASDAQ: UTHR), which fell 5.4%. United Therapeutics reported Q3 earnings of $3.91 per share on revenue of $330.0 million. This industry declined 1.31% by 11:05 am, with Freeport-McMoRan (NYSE: FCX) moving down 5%. Freeport-McMoRan reported upbeat Q3 results.